The command tput is very helpful to query the terminal information and to do some other simple operations like placing cursor at required random position. $ echo "columns: `tput cols` Rows: `tput lines` "
This is also one of the command which useful to query,change and print terminal line settings. Values of those environment variables will change if size of the terminal window changes. The fork bomb is kind of DOS (denial-of-service) attack on system. It attacks the system by consuming all resources. 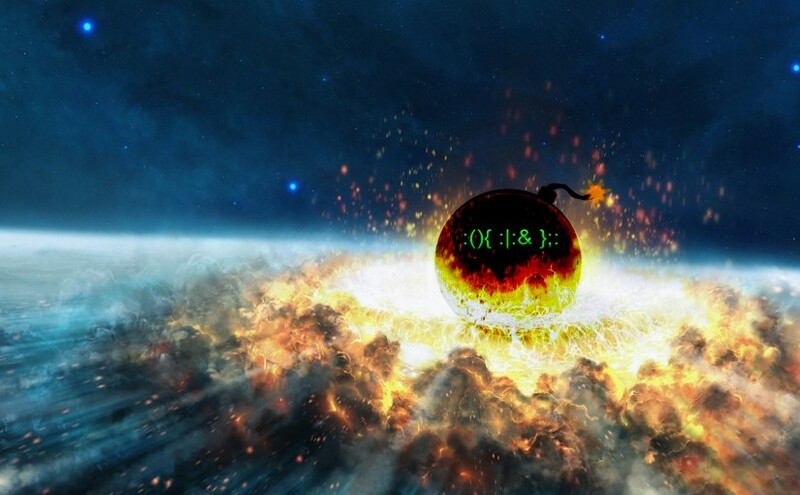 It makes use of the fork operation, that is why it is called as fork bomb. It is nothing more than bash function definition and calling it recursively to consume all system resources. We can also write this fork bomb in different programming languages like python. It creates endless number of processes to consumes all system resources. Once the fork bomb is successfully executed on system it may not be possible to bring system back into normal state with out restarting it. :() – is formal bash function definition. That is, we created a function named as : (colon). We are calling the same function recursively twice in side function definition. :|: – This function is getting called itself and piping output to another function call using |. This is programming technique recursion nothing but a process of calling function itself. : – Calling the defined function (:). It initiates the fork bomb. With out this thing fork bomb won’t get started. This fork bomb is some times used by system administrators to test process limits of user. You can save the system from crashing by setting process limits. These process limits can be changed using command ulimit or these limits can configured at /etc/security/limits.conf and PAM. Process limits can be configured per user also. If you set process limits to any process, all child processes will inherit those limits. Well configured system would not go down when fork bomb is initiated. To query all existing limit try the following command. You can try executing fork bomb by reducing these limits. So, once these limits are hit, kernel will impose a restriction over creating new processes, this is how you can protect the system from crashing because these kind DOS attacks. As there is restriction over creating endless processes your system won’t go down or no need to restart to resume normal operation.